Another type of dividend is paid out in shares of stock. This type of dividend is called a stock dividend. A stock dividend is not a true dividend because it is not paid in cash. 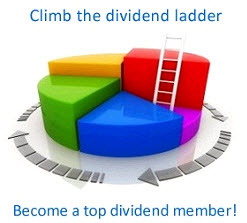 The effect of a stock dividend is to increase the number of shares that each owner holds. Because there are more shares outstanding, each is simply worth less. A stock dividend is commonly expressed as a percentage; for example, a 20 percent stock dividend means that a shareholder receives one new share for every five currently owned (a 20 percent increase). Because every shareholder receives 20 percent more stock, the total number of shares outstanding rises by 20 percent. As we will see in a moment, the result is that each share of stock is worth about 20 percent less. A stock split is essentially the same thing as a stock dividend, except that a split is expressed as a ratio instead of a percentage. When a split is declared, each share is split up to create additional shares. For example, in a three-for-one stock split, each old share is split into three new shares. Current information on firms announcing stock splits and dividends is available at www.e-. analytics.com/splitd.htm.